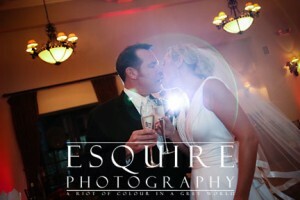 Good evening from Esquire Photography HQ in Orange County everyone! I hope everyone had a great holiday-inspired West Coast Wednesday this week and I’m one Newport Beach Wedding Photographer who has a totally sassy, fun, romantic & playful wedding that I recently had the honour of photographing a dreamy San Diego wedding at the Fallbrook Wedgewood Golf Club. With all the exciting Engagement Shoots, Portraits and Weddings I’ve been capturing photographs of from Newport Beach down to San Diego and all the way up to Oakland – Barbara & Steve’s San Diego Wedding that I had the honour of being the photographer for was beyond what anyone could expect. You might remember Barbara & Steve from their totally fun San Diego Engagement Shoot I photographed with them earlier this year. So when arrived at the Fallbrook Wedgewood Golf Club, I was so excited to see them both again along with all their friends & family for their wedding day. And gorgeous their wedding was! From the minute I showed up catching Barbara peeking out of her suite about to get into her wedding gown from David’s Bridal to the dancing the night away, the just a little bit of cake smashing & then Barbara & Steve letting me take them out for probably some of the most epic and MEGA Signature Night Romantic Portraits I love to do with my couples – their wedding day was one for the books. I would like to say thank you to Michael, Aubree & Jessica at the Fallbrook Wedgewood Golf Club too – who totally made sure Barbara & Steve’s San Diego wedding was absolutely perfect. I’ve put together a beautiful slide show of just a few of my favourite photographs I captured during Barbara & Steve’s San Diego Wedding at Fallbrook Wedgewood Golf Club below. But before you scroll down to check it out and you’re thinking… Hey – I’d really like to get to know this Newport Beach Wedding Photographer (Previously a Huntington Beach Wedding Photographer) that loves music & fashion, photography and art, feel free to contact me anytime. Perhaps you’re a fan of Nachos & Newcastles (like Duran Rex and I) and if so – we could always meet at Fred’s Mexican Cafe on Main & PCH in Huntington Beach. They’re awesome there! PS, If you haven’t already seen on Twitter & Facebook the two very HUGE announcements I shared recently – check this out. One is the Military Promotion that is going on for ONLY until the end of the month. I had the honour of giving it to Ali & Justin when I was up at Edward’s Air Force Base with both of their parents location scouting and going over details for their Lancaster Wedding Day I’m photographing next August. The other HUGE announcement I shared is the Workshop I’m teaching with my good friend & fellow photographer Danny in Paris France. So if you’re in Paris over Christmas break, totally let me know because the workshop is very affordable & only 100 Euros per person. PSS, Check out this awesome quote I shared on Twitter keeping the “Butterfly Effect” moving forward – spreading positivity. It’s a totally new one & I really think it is so very true. “It is not in the stars to hold our destiny but in ourselves” -Shakespeare AND “We are all made of stars” -Moby. below to show some love for Barbara & Steve’s San Diego Wedding!